If you’re looking for a sweet deal, the time is now!! Halloween is just around the corner, and Tammy & Andy of The Todaro Team are ready to deliver that sweet deal to you after you list with them. The Todaro Team is not your typical real estate team. They provide a fully integrated marketing platform that blends highly sophisticated, “leading edge” tactics with tried-and-true, proven “traditional” techniques. They partner with their own exclusive, full-time Marketing Agent, Barbara Todaro, who happens to have 40 years of real estate experience herself. Barbara’s role enables all team members to devote all of their time servicing YOU, their clients. Their focus is on YOU, their clients. Rarely do you find a well-versed real estate team whose focus is solely on YOU, their clients. They never need to think about marketing, and their clients receive both online and print market. This marketing continues until each listing has a status of Closed. 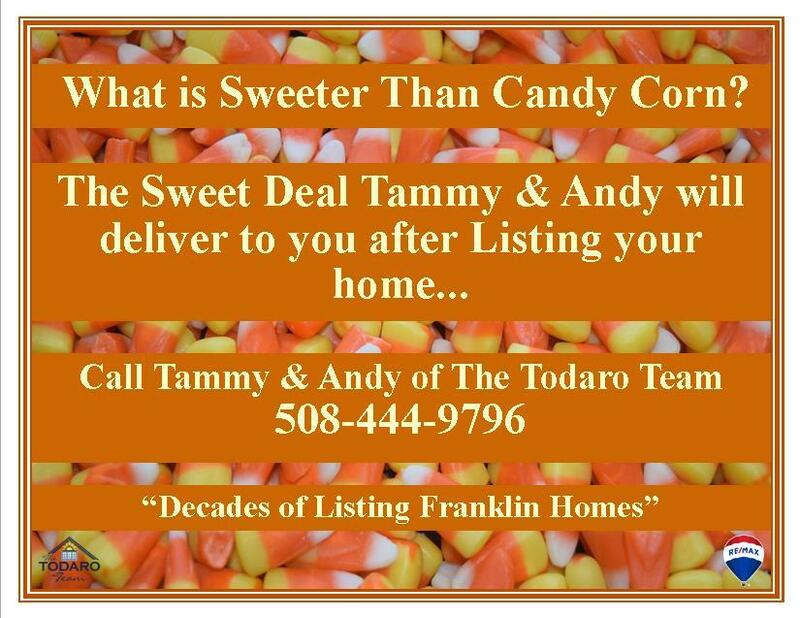 If you’re thinking of listing your home, call Tammy & Andy of The Todaro Team at 508-444-9796 for a Free Market Analysis. You’ll not only be happy, but you’ll be relieved that you did!! !